"There's no place like Camp Sunshine, There's no place like Camp Sunshine, There's no place like Camp Sunshine"
"Camp Sunshine is an organization that is close to my heart. Mere words can't describe Camp Sunshine, because it's more than a place. It's more than a camp. It's more than a house. It's a program that offers an infusion of love, support, fun, acceptance and hope for children with cancer, and it's in full swing all year long. Help them reach their fundraising goal by donating or supporting their events". 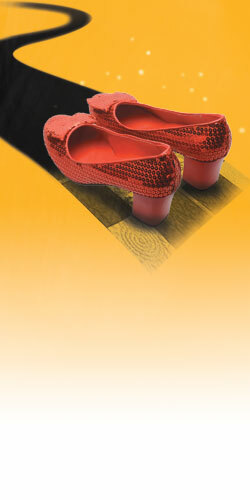 Introduce your children to the kind of magic only found in the Land of Oz. Join Camp Sunshine at the Alliance Theatre on Sunday, February 26, for one of two magical performances of The Wizard of Oz! Performances are at 1:00pm and 3:30pm. We are so excited to partner with our Presenting Sponsor, The Coca-Cola Company and Atlanta's nationally acclaimed Alliance Theatre to offer an exclusive private charity event for Camp Sunshine. Proceeds from this exciting family-friendly event will help provide all of our year-round programs for children with cancer and their families. The classic story of the Wizard of Oz is about finding strength, love and courage, and it speaks so much to Camp Sunshine's mission and vision. This 70-minute production features iconic songs from the movie score and is filled with characters that are like childhood friends one never tires of visiting. We hope you will join us for this heart-warming musical that reminds us of the importance of love, friendship and home. Thank you so much for promoting this event!!! It's going to be really fun! !